Just imagine these masterpieces in a French Country chateau. Yutzy Woodworking takes great care to handcraft each piece with a smooth hand-planed surface, hidden drawers and beautiful moldings. 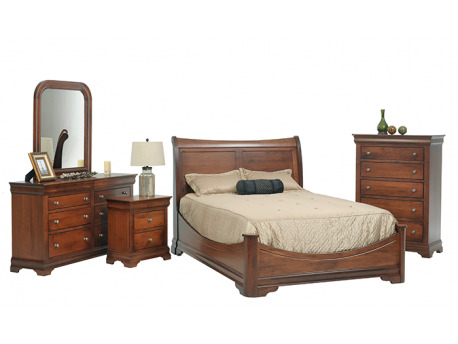 Yutzy is manufactures the best domestic solid wood bedroom furniture right here in Ohio. Just imagine these masterpieces in a French Country chateau. Yutzy Woodworking takes great care to handcraft each piece with a smooth hand-planed surface, hidden drawers and beautiful moldings. A generation ago a young carpenter was working in new home construction building kitchen cabinets. 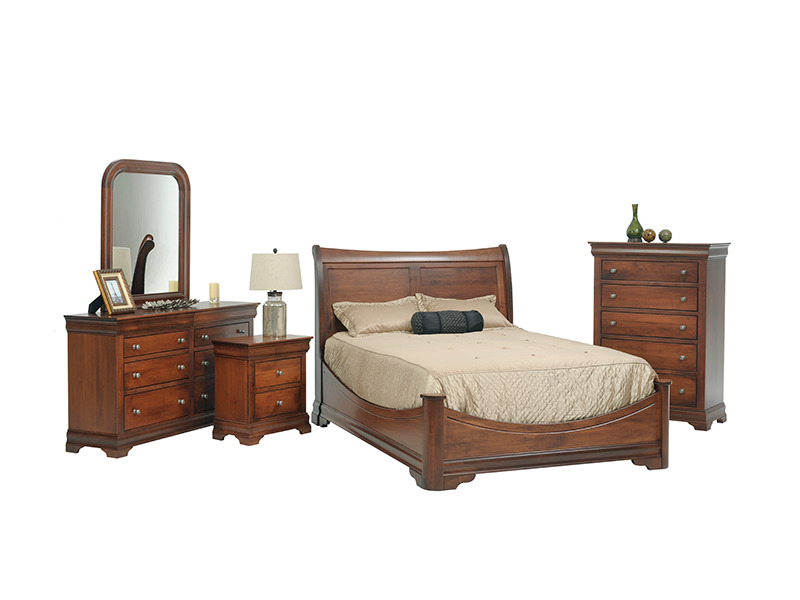 But his dream was to have his own business manufacturing the best domestic solid wood bedroom furniture in Ohio and someday in the USA. Keep in mind that this was a tall order because this region was already known worldwide for woodworking expertise in solid wood furniture. This young carpenter's dreams turned into reality with the building of Sleigh Beds that are still in one of Urban's best sellers , "Legacy". As the word spread his business began growing and the factory expanded many times over. It quickly became one of the few Ohio factories that were 100 percent vertical with no dependence on small sub-shops to complete a bedroom order. This made customization in reasonable time possible, giving consumers exactly what they want with no compromise. At last: American-made quality furniture that gives the consumer both quality and choice. The Urban Collections also delivers furniture all over the USA on its own fleet of trucks. Troy, Sidney, Greenville and Van Wert, Ohio.